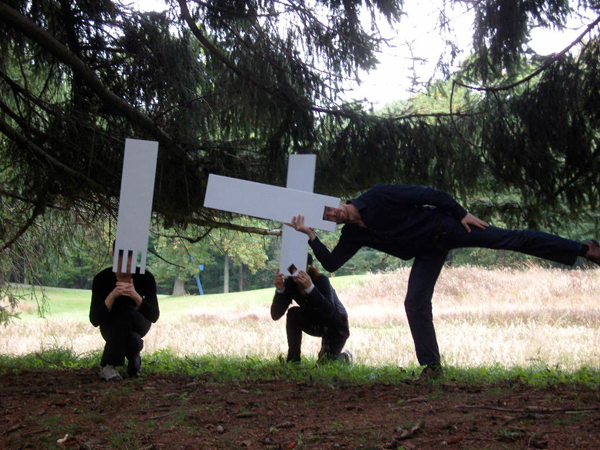 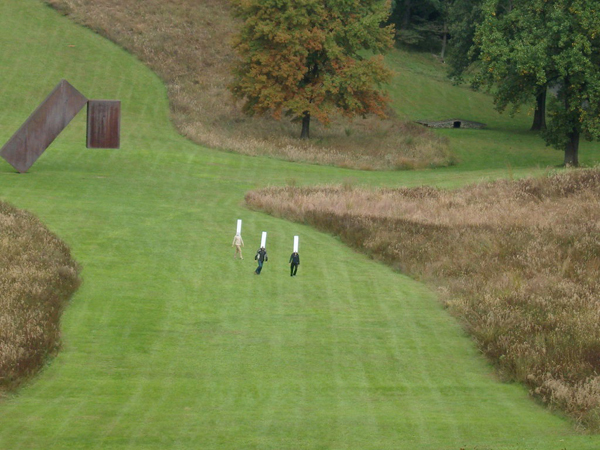 Over the last two yeras Roland has been experimenting with the creation of sculptural forms with masks presented by dancers in open-air settings. 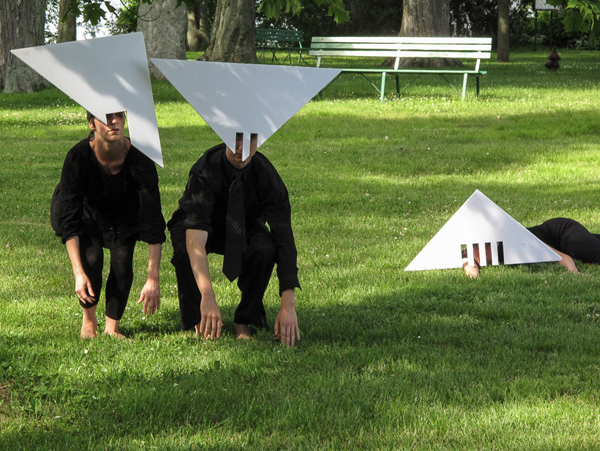 This work, Sculpture Dance, continues an exploration of group and individual identity that culminated in the 2008 production of a multi-media performance piece, The Only Tribe. 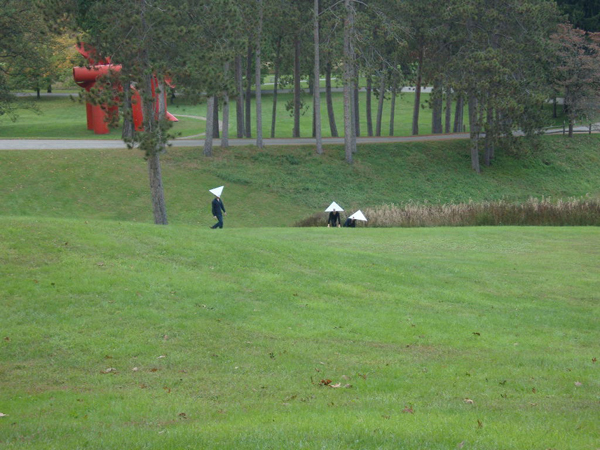 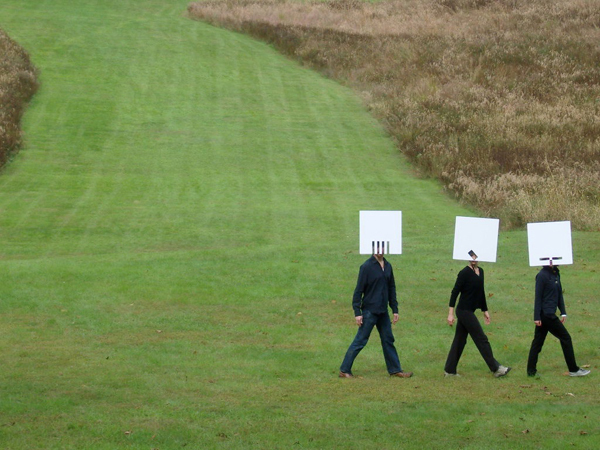 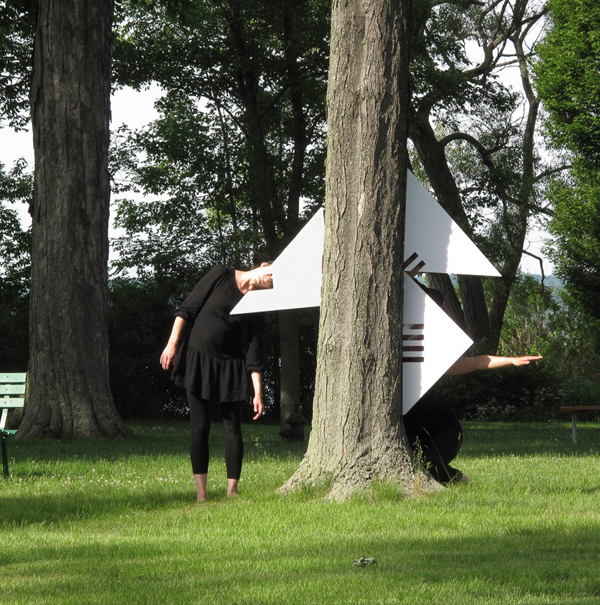 These recent experiments at Storm King Art Center and on the grounds of the Chautauqua Institution begin to unravel spatial relationships embedded in the intersection of identity, abstract sculpture, and landscape. 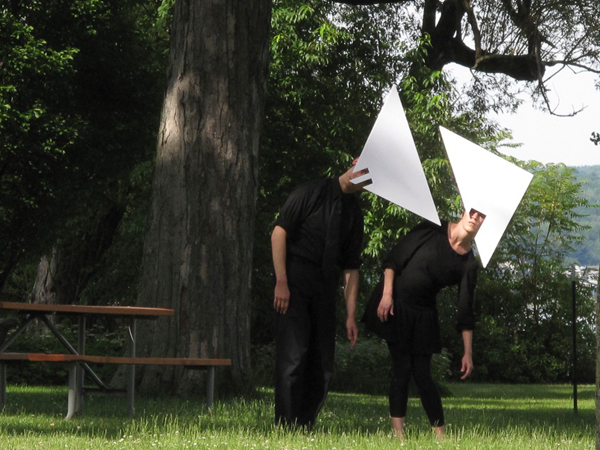 The living time-based Sculpture Dance invites narrative interpretations by the audience. 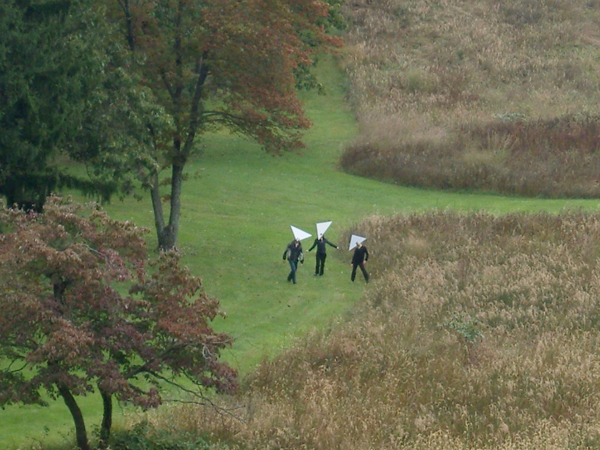 Performances can be dispersed over large areas to examine aspects of perspective – proximity, distance, and juxtaposition, all of which provide for suspense, then surprise and recognition when dancers appear closer and farther from each other, the audience and elements in the landscape.